This web site is owned and operated by Gray Matter Development, LLC., herein after referred to as GMD, or Gray Matter. CEO, Todd L. Gray is a Hypnotherapist, who trained in Hypnotherapy, and graduated from the Hypnosis Motivation Institute in Tarzana, California. Todd also trained under the guidance of Anthony Robbins, in the field of Strategic Intervention Coaching, and graduated from Robbins-Madanes Training. 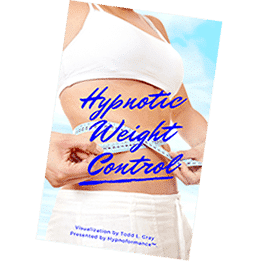 In addition, Todd is a member in good standing of the American Hypnosis Association, and the Hypnotherapist Union Local 472 as a Certified Master Hypnotist. By accessing, or using any content or pages of this web site, under the domain URL www.hypnoformance.com (the “Website”), you agree to be bound by this Agreement, and acknowledge your acceptance of its terms and conditions. If you do not agree to be bound by this Agreement, you may not use the Website, or any content or information provided herein. Please click here to Exit the Website via Google. Please note that if you download any content, regardless of whether it is free or paid for, from this Website, that said download and/or purchase, and subsequent use of the Hypnoformance™ hypnotic material, or hypnosis products, are governed by the End User License Agreement. All content, graphics, code, and software used on, or incorporated into this Website, and the arrangement, or integration of all such content, graphics, code, and software, is subject to copyrights, and other proprietary intellectual property rights held by Todd L. Gray, Gray Matter Development, LLC., and/or Hypnoformance™. Todd L. Gray and Gray Matter Development, LLC., grants you permission to electronically download, copy, or print hard copies of pages from this Website, solely for your personal, non-commercial purposes. You may not sell, publish, advertise, or otherwise distribute for commercial purposes any information or materials obtained from the Website. Any use of this Website or content or information contained herein, other than for your own personal, non-commercial use is strictly prohibited, unless the written permission of Todd L. Gray under the provisions provided by Gray Matter Development, LLC., is first obtained in writing. No oral or verbal contractual agreements, or permissions will be considered valid or binding to any extent. TODD L. GRAY, GRAY MATTER DEVELOPMENT, LLC., HYPNOFORMANCE™, or any and all other names of the recording series, and all other related marks are trademarks, or service marks of Todd L. Gray, and/or Gray Matter Development, LLC. All rights reserved. Though Todd L. Gray and Gray Matter Development, LLC., make reasonable efforts to ensure otherwise, this Website may contain typographical errors, omissions, or other inaccuracies, and may not be complete or current. Todd L. Gray, and Gray Matter Development, LLC., therefore reserves the right to correct any errors, inaccuracies, or omissions, and to change, or update information at any time. Todd L. Gray, and Gray Matter Development, LLC., provides this Website, its contents, and any and all products, services, and information, described, or provided herein, are done so on an “as is” basis. YOU EXPRESSLY AGREE THAT YOUR USE OF THIS WEBSITE IS AT YOUR SOLE RISK. TODD L. GRAY, AND GRAY MATTER DEVELOPMENT, LLC., EXPRESSLY DISCLAIMS WARRANTIES OF ANY AND EVERY KIND, EXPRESS AND/OR IMPLIED, INCLUDING WITHOUT LIMITATION ANY WARRANTY FOR INFORMATION, SERVICES, HYPNOFORMANCE™, OR PRODUCTS PROVIDED IN CONNECTION WITH, OR RECOMMENDED BY THIS WEBSITE, AND ANY IMPLIED WARRANTIES OF MERCHANTABILITY, AND FITNESS FOR ANY PARTICULAR PURPOSE. TODD L. GRAY, AND GRAY MATTER DEVELOPMENT, LLC., DOES NOT REPRESENT OR WARRANT THAT THE FUNCTIONS OF THIS WEBSITE WILL BE UNINTERRUPTED OR ERROR-FREE, THAT DEFECTS WILL BE CORRECTED, OR THAT THIS SITE OR THE SERVER THAT MAKES IT AVAILABLE ARE FREE OF VIRUSES, OR OTHER HARMFUL COMPONENTS. UNDER NO CIRCUMSTANCES, INCLUDING BUT NOT LIMITED TO NEGLIGENCE, SHALL TODD L. GRAY, AND GRAY MATTER DEVELOPMENT, LLC., OR ANY OTHER PARTIES INVOLVED IN CREATING OR MAINTAINING THIS WEBSITE, BE LIABLE FOR ANY SPECIAL OR CONSEQUENTIAL DAMAGES THAT RESULT FROM THE USE OF, OR THE INABILITY TO USE, THE MATERIALS IN THIS SITE, EVEN IF TODD L. GRAY, AND GRAY MATTER DEVELOPMENT, LLC., OR ITS AUTHORIZED REPRESENTATIVE HAS BEEN ADVISED OF THE POSSIBILITY OF SUCH DAMAGES. IN NO EVENT SHALL TODD L. GRAY’S AND GRAY MATTER DEVELOPMENT, LLC., TOTAL LIABILITY TO YOU FOR ALL DAMAGES, LOSSES, AND CAUSES OF ACTION (WHETHER IN CONTRACT, TORT, OR OTHERWISE) EXCEED TWENTY DOLLARS ($20). In the event that applicable law may not allow the limitation, or exclusion of liability, or incidental, or consequential damages, then the above limitations, or exclusions may not apply to you. By using this Website, or accessing any information herein, you agree that your use of the Website will be governed by the laws of the State of Oregon, United States of America. You also agree that any legal, or equitable claim arising from your purchase must be brought in the City of Roseburg, Oregon, or federal courts located in Douglas County, Oregon; and you consent to the exclusive jurisdiction and venue in such courts. Todd L. Gray’s or Gray Matter Development, LLC’s failure to exercise or enforce any right or provision of the Agreement will not be deemed to be a waiver of such right or provision. If any provision of this Agreement is found by a court of competent jurisdiction to be invalid, you agree that the court should endeavor to give effect to the parties’ intentions, and that the other provisions of this Agreement remain in full force and effect. You agree that regardless of any statute, or law to the contrary, any claim or cause of action arising out of or related to use of this Website, content, or products accessed, downloaded, or purchased through this Website must be filed within one (1) year after such claim, or cause of action arose, or be forever barred. This Agreement constitutes the entire agreement between you, and Todd L. Gray, and Gray Matter Development, LLC., with respect to the subject matter herein, and supersedes, and replaces all prior or contemporaneous understandings or agreements, written, or oral, regarding such subject matter. Todd L. Gray, and Gray Matter Development, LLC., may amend, or modify this Agreement, at any time by posting the new terms on the Website. It is your responsibility to review these Terms regularly, so that you will be apprised of any changes. This Agreement may not be otherwise amended, except in a written document signed by you and Todd L. Gray of Gray Matter Development, LLC. This agreement was last revised on October 18, 2017.